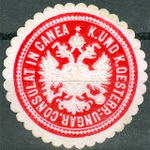 I have this "stamp" or rather piece of paper with an image in reverse, I can't make out where it is supposed to be from or why it is reversed in the first place, any help would be gratefully received. I can read POSTAGE in reverse at the top and ONE PENNY at the bottom. This has a reversed version of an early "Sydney View" design of New South Wales. I wonder if it was a toy stamp? The stamp is from New South Wales. Unfortunately I don't have a catalog handy to tell you anything more about it. There might be a premium for the reversed stamp. Here's the what the stamp looks like not reversed , and its worth alot of cash dates 1850 New south whales scott number 1 ,has 25 known varieties . being reversed it may be worth more or could be a forgerie .I did not see a reversed image in the scott catalogue. It is most definitely not genuine -- the fake cancel stops at the frame line and doesn't go into the imperforate margin. It's a cinderella, as nigelc mentioned. The source? That would be interesting to learn. Nice cinderella. I've not seen it before. Thanks for posting it! When I first saw this, I was reminded of the mimeograph machines of yester-year. The quality is very similar, and I imagine it's not too difficult to do if I understand the process correctly -- simply reverse the stencil when wrapping around the ink roller. And of course, use red ink instead of purple. I guess this could be a transfer which could be wetted to produce an image on paper? I remember having transfers as a kid which we could use to create pictures on our arms rather like temporary tattoos. 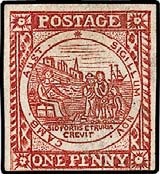 Various firms published stamp transfers in the nineteenth century. I imagine collectors might apply them directly to album pages for decoration. 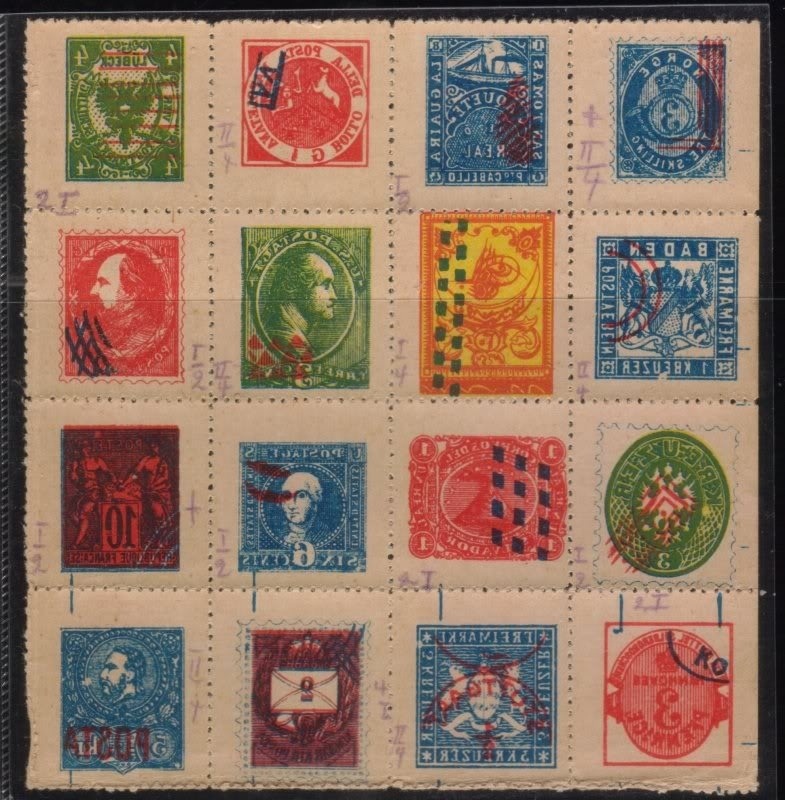 If you google "Zechmayer" for example you should find examples of perforated sheets of different stamp transfers. What I find interesting is the fake cancel. It is not reversed, but clearly added on in the style of a French semicircle precancel or some of the modern printed-on CTO cancels of the late 1990s early 2000s -- point is, cancel does not extend all the way to the edge of the stamp. nigelc, nowadays when you google "Zechmayer", all you get is a bunch of pictures of Wolfgang Zechmayer!